Layering metal offers depth and detail to your jewelry as well as providing support to an intricate piercing! Learn how to take a pierced (sawed out) design and solder it to a back plate using Michele's soldering tips and tricks to be sure all the small spaces solder down. Use the Heat Zone method to sweat solder the two sheets together without using a tripod. 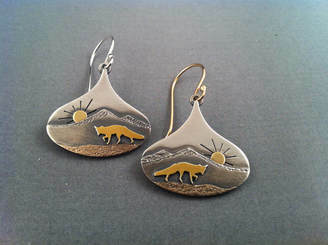 ​Michele Throne makes her living as a full-time metalsmith and jeweler. 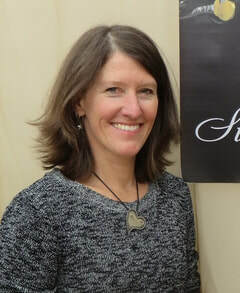 She has a BFA from Florida State University and in a previous life, was a Montessori art specialist and teacher. 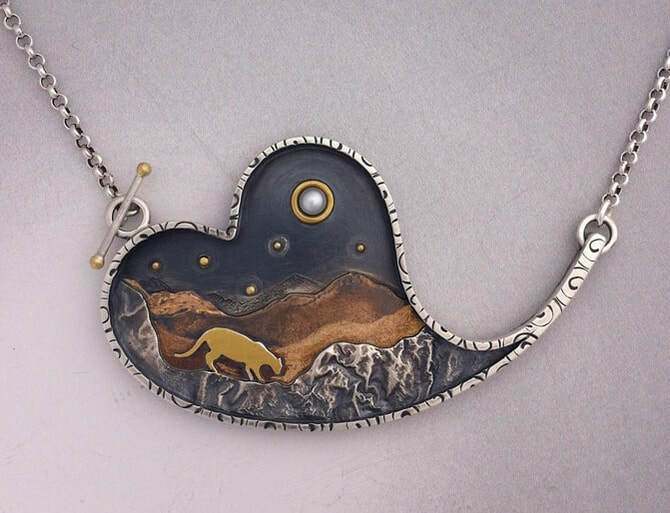 Michele lives in the mountains and her work is inspired by nature and the human experience. To see Michele's work, visit her website, Sidhe Designs. Students must be proficient at soldering and sawing. Bring a design to saw/pierce in a piece of metal! Each student will receive a 2"x 2" sheet of metal to work with. Please allow room for your design and for the back plate to be slightly larger. Michele will provide some designs for those who aren’t able to bring one of their own. Bring all your favorite tools. Sterling silver 22 ga. sheet. Each student will receive a 2"x 2" sheet of metal to work with. Please allow room for your design and for the back plate to be slightly larger.